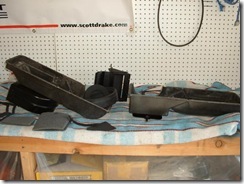 I’ve decided to begin the restoration process with the interior of my Mustang. 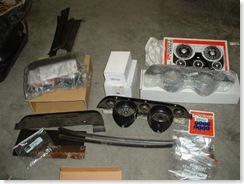 I’ve ordered all of my parts. I’ve broken down the interior into task based project groups and I’m ready to get started. 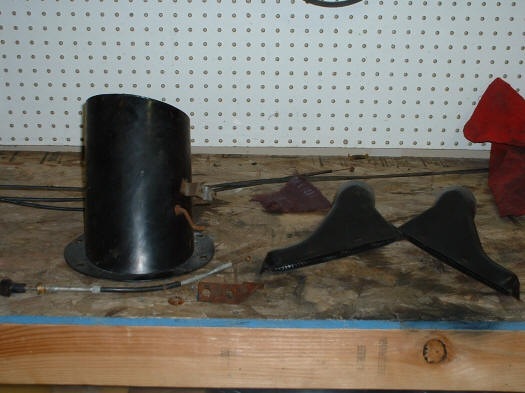 Supplies that were used during this phase of the restoration consist of various spay paints including primer, semi flat black, satin clear, dull aluminum and interior paint. 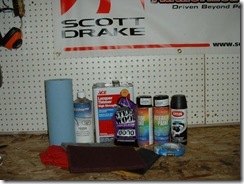 I also needed some scotch bright pads, 600 grit sand paper, steel wool shop rags and tools. 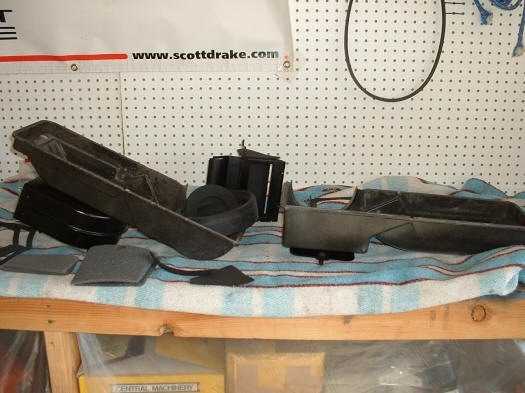 Restoring a Classic Mustang heater box assembly is not that complicated and can be done in an afternoon if you have all of your parts and supplies in order. 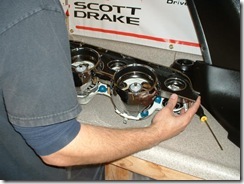 The heater assembly needs to be taken apart so the housing can be cleaned, painted and have new gaskets installed. 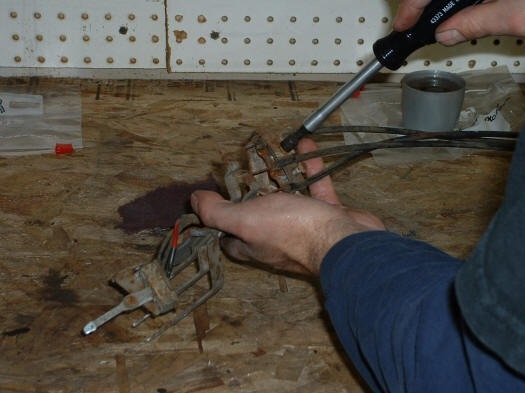 Opening up the heater box is really easy, all you have to do is remove the heater box clamps that hold the assembly housing together; place the tip of a standard screw driver in the slot on the clip and apply a little leverage to remove it. 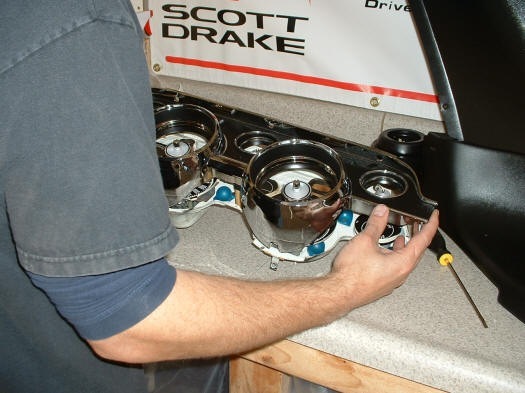 After the heater box assembly is apart I remove the air flow directional control and then scrape all of the old gaskets off. 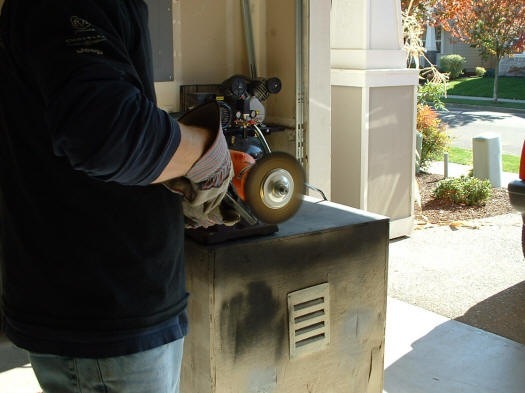 If your fortunate enough to have a blast cabinet as I am, you can bead blast the heater assembly to remove old paint and rust and also give the housing a refreshed and consistent look. 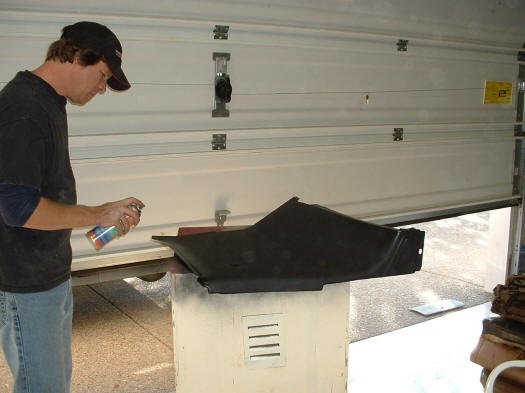 Once the heater assembly housings have been cleaned I spray a light coat of clear satin to all surfaces for protection and beautification, after that the housing pieces are taped off in preparation for painting the semi flat black surfaces like the heater door and blower housing. Now that this Mustang heater assembly looks like a new factory original I need to install new gaskets included with the heater seal kit I ordered. The seal kit comes with illustrations and basic instruction. Don’t make this mistake! 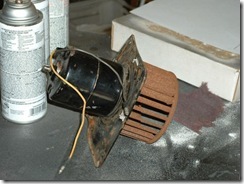 I wanted to remove the squirrel cage from my heater blower motor.. we’ll I blew this one up, as you can see from the photo the armature shaft is sticking out of the back of the motor housing; the result of using a hammer instead of my head. 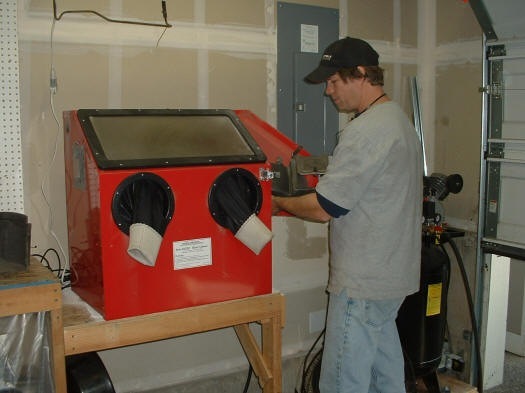 Restoring the air vent assembly and defroster ducts is one of the easier tasks to complete, just some cleaning, bead blasting and painting. The air vent cable should be removed from the assembly and restored separately from the vent itself; I needed to preserve the chrome parts of the cable and treat the knob to a fresh coat of polyurethane clear, the air vent and defrost ducts get a light sprits of satin clear to complete the restoration. 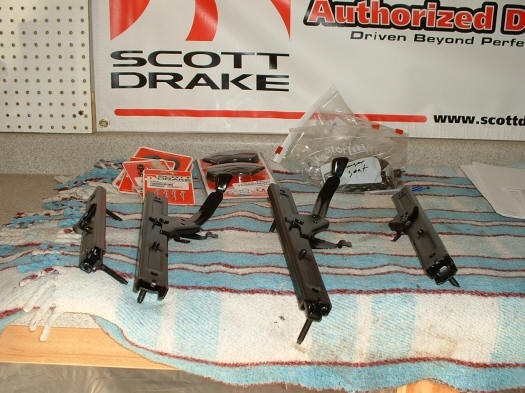 The heater controls will receive new knobs and cables, the rest of the original assembly has to be cleaned up to restore some luster to the control arms; if the control arms are in decent shape you can shine them up using super fine steel wool. This task based group is set up to cover all of the dash panel related items including the switches and knobs, radio, glove box, ash tray, instrument cluster and dash panels. 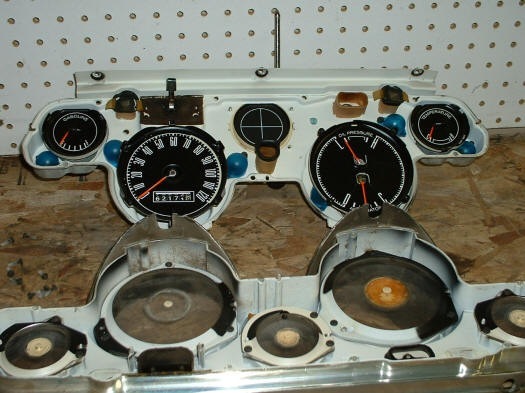 A large chunk of the dash related items will be new so I won’t be restoring any of those items, they include the dash pad, instrument and radio bezels and knobs. 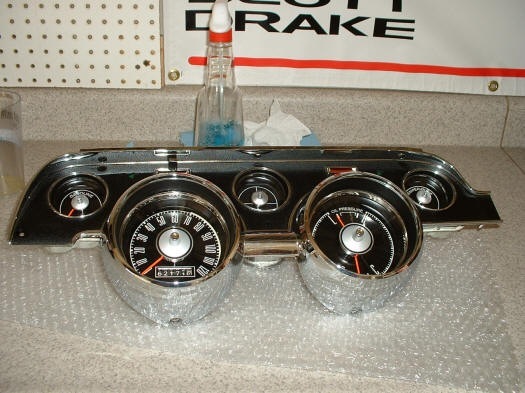 The dash panels will be replaced with a new three piece set, however there is one items that does not come with this set that you may have overlooked as I did; the dash panel emblem. This piece can be cleaned up and restored if its nice enough or you can purchase a new one. The new one is adhesive backed for easy installation. The old one, if I can restore it; has to have the tabs bent over on it. 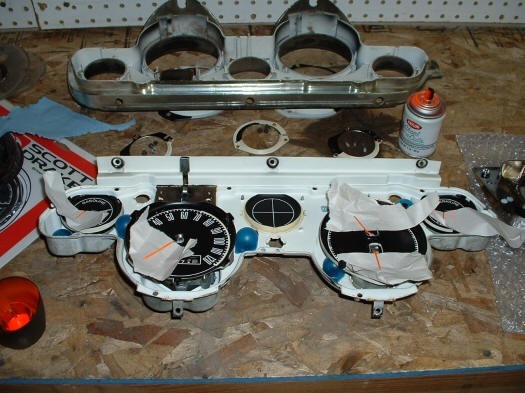 I begin the restoration by removing the instrument bezel from the instrument gauge cluster so I can remove the light tubes and instrument lens retaining rings. The cardboard tubes you find inside your old instrument cluster need to be reused along with any rubber ant rattles that you find. The lens retaining rings an be cleaned or repainted so they are as good as new. 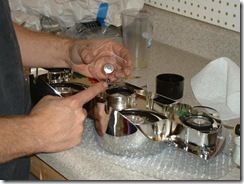 After restoring the lens retaining rings I can install the new instrument lens set into the new instrument bezel. 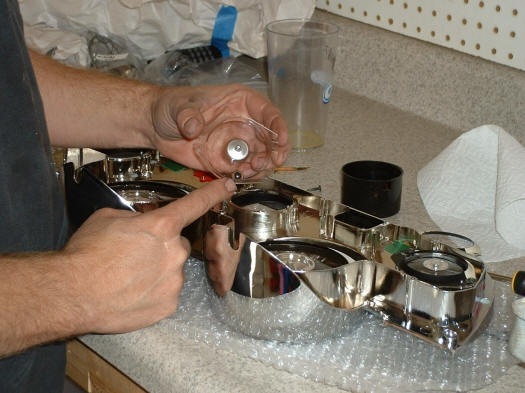 You will want to be careful when handling the lenses, they scratch easily and you want to avoid having to clean them. The instrument gauges themselves may need some cleaning and freshening up. To clean the gauge faces you can use a quality glass cleaner or wax and grease remover along with a soft cloth like a 100% cotton diaper. 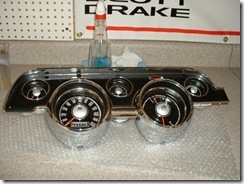 My Mustang instrument cluster is now as good as new and ready to be installed. 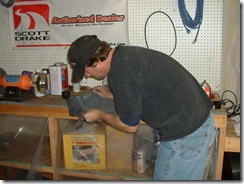 Restoring the glove box door is the main component of this task. I bead blasted the entire glove box and the glove box hinge, as well as lightly blasting the hardware even though I will probably end up with the complete interior fastener kit. 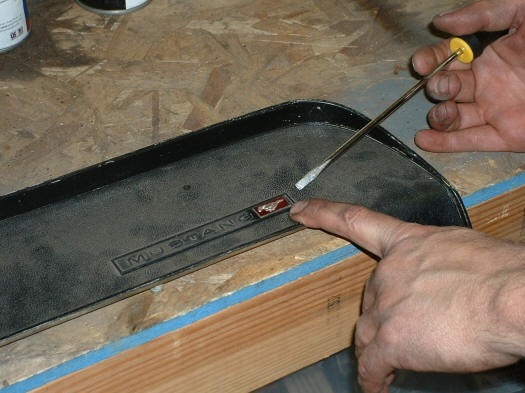 I applied a few coats of black primer, sanded the glove box and then painted it with the correct black metallic charcoal paint; I also used this paint on the new ash tray. 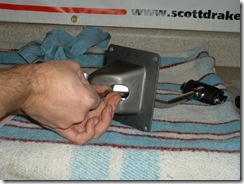 I completed the restoration by installing a new glove box insert, glove box button bezel and glove box latch. C4AZ-15055-B 64-70 MUSTANG LIGHTER SOCKET & RET. 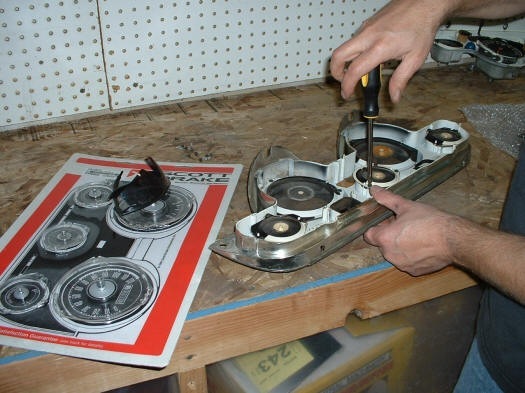 This restoration project tackles the steering column and turn signal switch; the steering wheel and steering wheel hub emblem and trim where both backordered at the time and will have to be covered later. 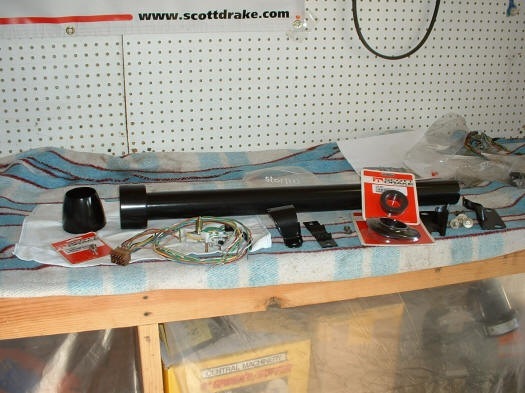 I completely disassembled the steering column, cleaned and sanded it and then put a fresh coat of primer and painted it with the same black charcoal metallic interior paint I used for the glove box. 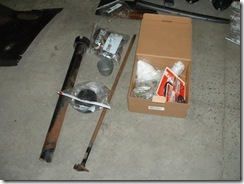 The steering shaft itself was cleaned up using a wire wheel. After letting the paint cure for several hours I set up to reassemble the restored steering column and outfit it with a new turn signal switch. 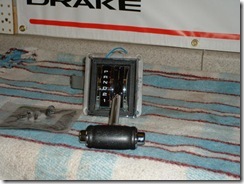 To install the new turn signal switch I used a trick that many people overlook and its quite simple. 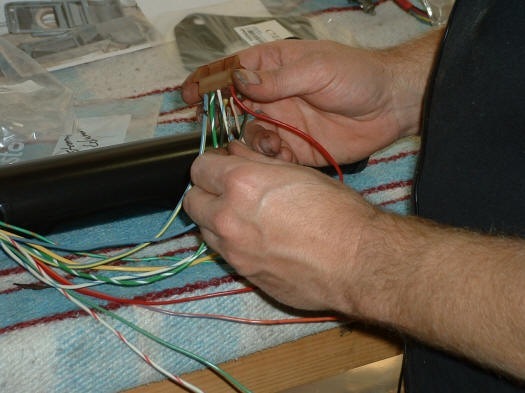 Before you try to run the new turn signal switch wires through the column you should run a string or some wire through and then secure the new wires to it to assist in feeding the turn signal wiring into the column. 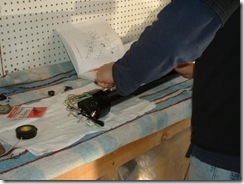 I needed to refer to the exploded view illustration manual when it came time to reassemble the column. 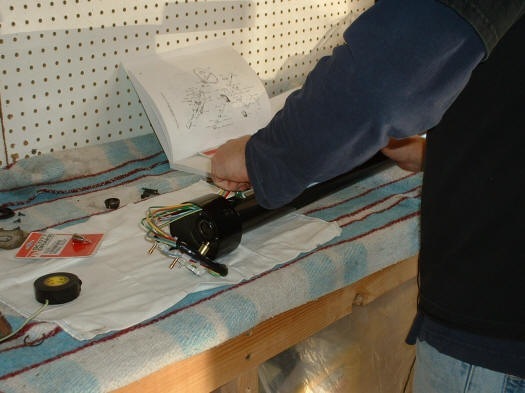 The new turn signal switch required the use of the old connector, see the Mustang How To article How To Install a Mustang Turn Signal Switch for details on this procedure. 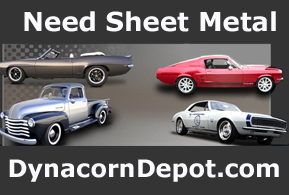 There are only two things on the interior floor of the Mustang that I need to restore, all of the other items where purchased new. The shifter assembly is one of the parts that I need to restore the other is the seat belts. 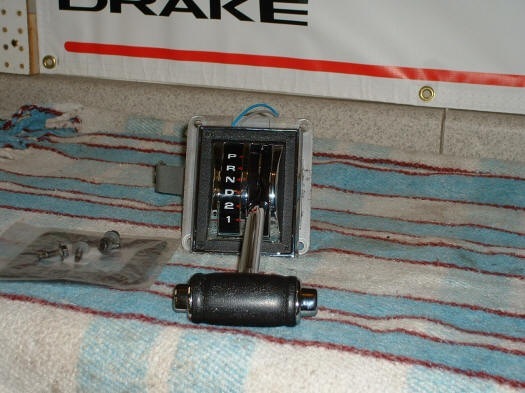 The shifter housing and lower selector arm received the bead blast treatment and then got a light dusting of paint to preserve the new finish; then the assembly was completed with all new parts including bushings, selector lever, shift cover, shift handle, indicator lamp and plug. Before I buttoned everything up I made sure that my shifter was adjusted so it works correctly the first time its installed. 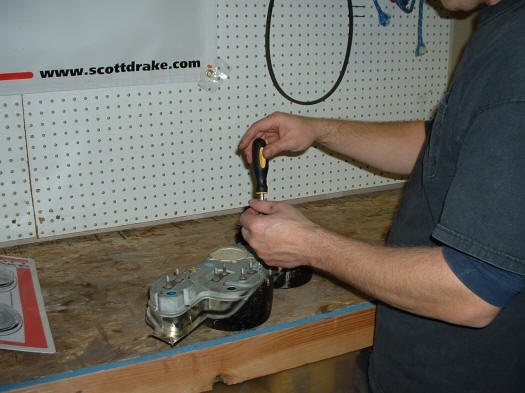 Running the adjuster nut up the threads a few times should be done before you install the shift lever into the housing for final adjustment. Mustang seat belts are fairly easy to restore if they are functional and in good condition. Old seat belts typically need a thorough cleaning with a strong cleaner, and the chrome freshened up with a little super fine steel wool. 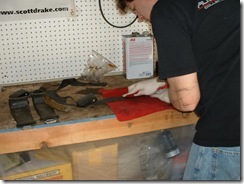 To restore this set of belts I used a few methods of cleaning including lacquer thinner, degreaser and steel wool. After the belts are dried out they will get some treatments with black vinyl die and a light dusting of clear satin on the seat retractor covers. 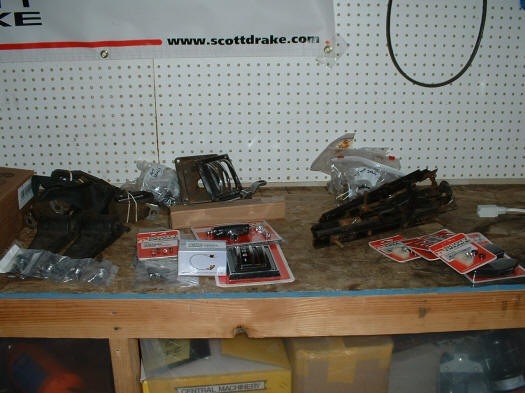 There is not a whole lot that I can do to the seats other than restore the seat tracks and get all of the new hardware together. I could install the new seat cushions and seat upholstery but I have decided to sub it out to a professional. I was contemplating bead blasting the seat track assemblies, but decided it was best to prepare them with a wire wheel. The seat adjuster knob should be taped up and protected from the wire wheel unless you want to purchase new pieces. 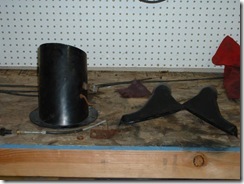 After a run on the wire wheel and a degreaser cleaning I painted the seat tracks with semi flat black paint. The adjuster knobs were re-taped prior to painting; after the paint cured the adjuster knobs get a coat of clear urethane. 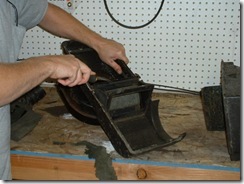 This task does not involve a lot of restoration or assembly of any kind, just some time, effort and some painting. 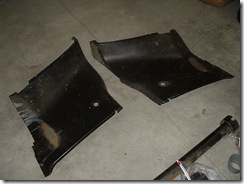 I really only have two items to restore; the interior quarter panels and the dash pad trim panels. 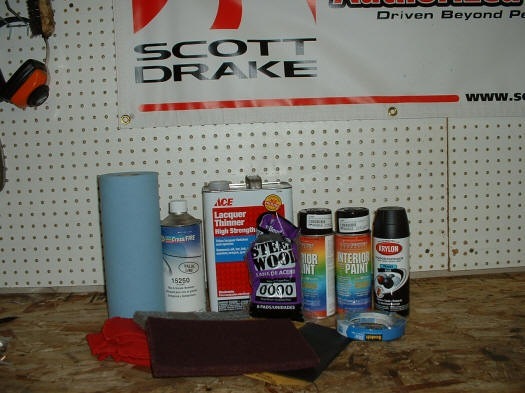 Both of these items should be stripped of existing paint, if you only sand the quarter panels and do not strip the paint you may begin to loose the grain pattern with every additional coat of new paint. 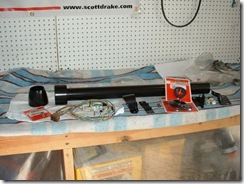 C7ZZ-6503598-BK 67-68 MUSTANG W/S PILLER PAD R.H. BLK. 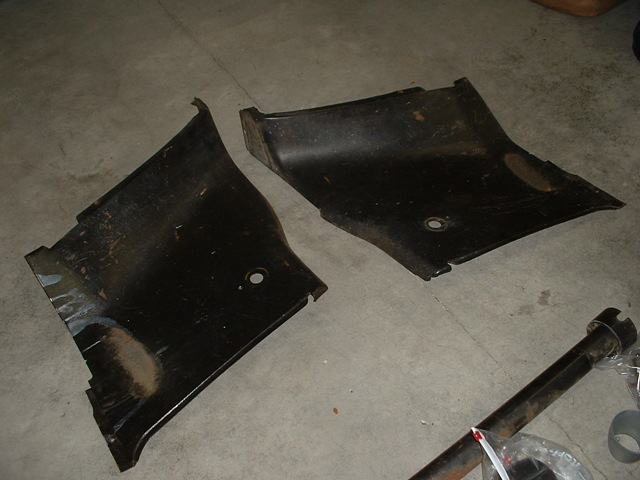 C7ZZ-6503599-BK 67-68 MUSTANG W/S PILLER PAD L.H. BLK. where did you get the needle gauge paint at? 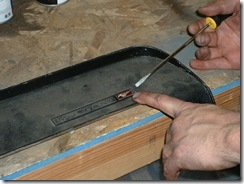 What is a easy way to install the chrome that goes underneath the dash pad on a 65 coupe? Also the metal trim that sits under the window? HELP!!! Hey, first of all thanks so much for your site… I have found it very helpful on numerous occasions. I have a question regarding the painting of your interior trim and quarter panels… I have a 68 fastback with what seems to be black interior. 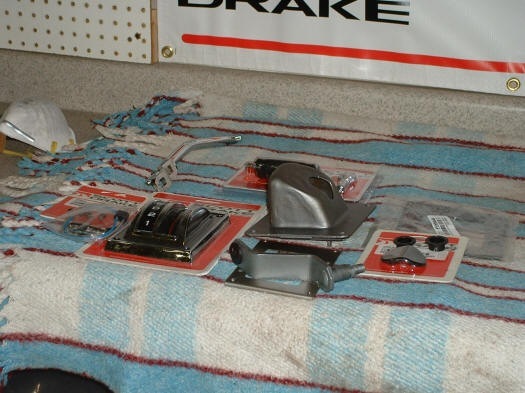 I have just bought new interior panels and I understand that the lower dash, steering column, glove box, etc., get the charcoal black metallic paint. Do I also paint the interior trim and quarter panels the same charcoal black metallic? Or are they supposed to be left the way they come- black. What is correct? 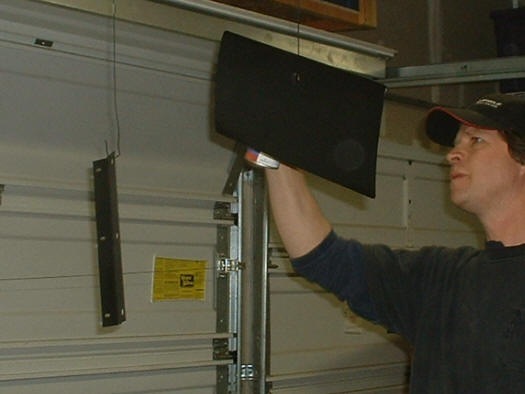 Your interior color is Black Charcoal Metallic; Vinyl and plastic parts would get coated with vinyl die # V-4464, Metal and fiberglass parts would get coated with lacquer interior paint # L-4464. 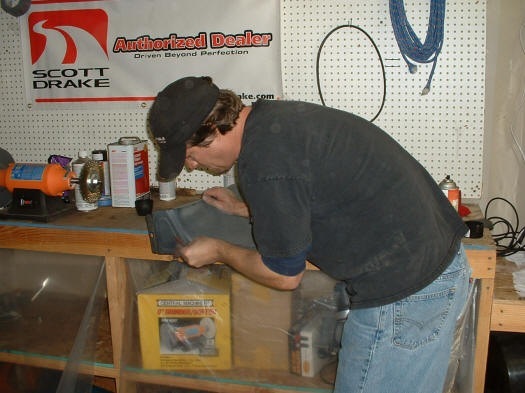 You should prep the fiberglass parts by cleaning them well and then scuffing them with a red scotch-brite pad that you can pick up at the local auto paint supply house. 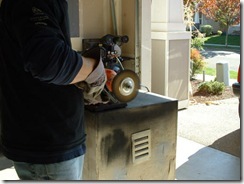 when installing door windows, handles and weatherstripping, how and in which order do we proceed? 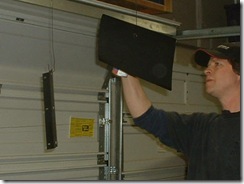 I would install the door handles first and get all of the rods hooked up, then install the window glass; be sure to remove the lower window stopper at the bottom of the door so you can gain a few more inches with the down position of the window glass, this will allow you to install the window channel strips without interference from the window frame. I have a 65 convertible that has had the door interior painted so many times I can hardly seen the grain pattern. How do I strip these down so they can be repainted? I want to save the grain pattern! Is there a way to recreate the grain? layers of paint on your door interior surface should be removed with a paint stripper or you can have them blasted with a light media like glass bead or soda. If you do it yourself you should take care not to scrape the surface with a metal putty knife or similar object. 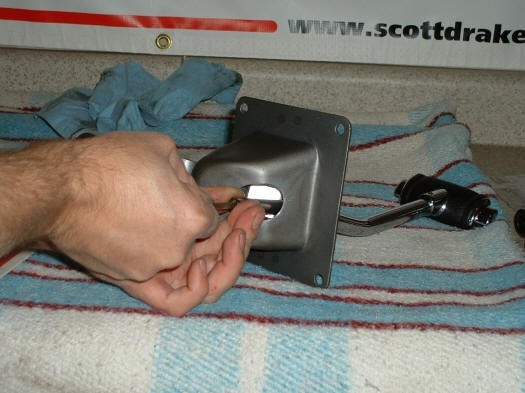 Paint remover works great for breaking down those layers, then follow up with a fine brass wire wheel and then finish with a lacquer thinner and scotch-brite pad. 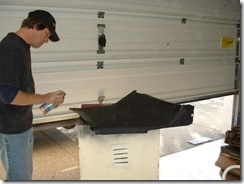 Regarding removing of old paint from interior panels. I found a graffitti and paint remover in a spray bottle at the Lowe’s hardware that works pretty good. It is also biodegradable, so not so harsh. If you spray on and lay paper towels over the spray, and then soak the towels with spray and let sit for some length of time, the paint crackles up and can be practically wiped off with another towel. At least it did on my interior panels. 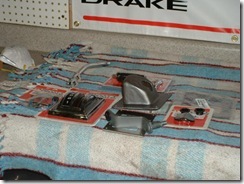 Do you have any tips for gluing the metal heater panel in on a 68 mustang with deluxe interior? 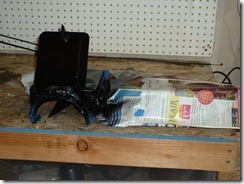 Help trying to paint dash on 68 fastback and paint keeps lifting what to do?? I have a 67 coupe and I got it recently but the last owner left the window rolled down outside for 10+ years and the dash has been rotted out to the left of the steering column, should I try to fabricate something or should I just get a new dash, which would be easier? 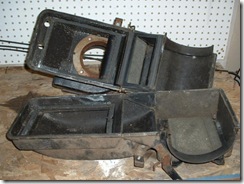 I also have a rotted out frame in the front and a very holy rusty roof panel. any ideas? and do you have a floor pan video? I have a 65 Mustang. The three bolts holding the fresh air vent on the drivers side have broke off. 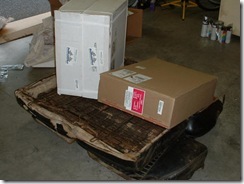 Can I get to them if I remove the front fender and replace them? any pointers on how to install upholstery on interior quarter panels? 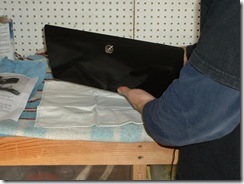 I was told to fold over edges and secure by using spray adhesive. It seems to me that folded over material would interfere with the up and down movement of the quarter window. Hey, great site, lots of details, I’m just starting a 67 convertible that has not see light since 1975 so thanks for the good tips. I have a 1967 Convertible Mustang. I need help. it was my fathers and I have just let it sit for years in a garage because I do not know what to do. He told me not to get rid of it and the Karma Ghia. I think it is now time to do something. 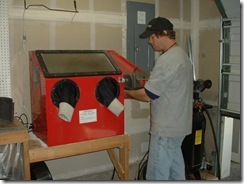 How much does a restoration cost?. The convertible roof looks okay. I never even turned the engine on? It needs some care but it is not as bad a I seen others ones. They interior needs side panels on one side. he use to drive it until he could not drive anymore. Do I have to do something first to even see if it works. I need to place a battery in it. Help I am just a girl lost. I would like to know, where to get the pin # on the dash board for my 68 Mustang. It was lost during the interior restoration. Any suggestions? Gil Gonzalez July 2013 4:48 p.m.
How long does it take for a beginner to perform all the restorations outlined above and what are the material costs associated with it? how much did all of this cost? The interior colors were not painted to same exact color as the outside. If you had a black Shelby with black interior, the interior color is a black iridescent color (semi-flat); the paint on the interior of the door would start at the door seal. This past winter I reupholstered my front 67 mustang coupe seats and now I am researching the rear seat, it’s done differently. Wish you had something on this, but I think I know how to do it with muslin and raw cotton for the batting. I redid my fronts like the factory did in ’67 and pleased with the results. I used spring steel wire in the burlap, cotton batting, hog rings, duck bill pliers (instead of my fingers to hold things), paper piping cord, paper wrapped spring steel to recreate the correct listing rods. 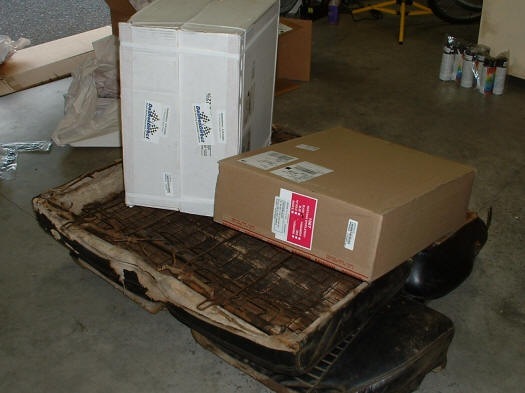 I have quality photos of my work at various stages and found parts supply for rebuilding the springs that I could supply if you wanted to try expanding the upholstery section.